Hi guys, Welcome to The Pestpick.Com . It is a review website for all those things that will help you to get rid of various pests from your home and surroundings. The Pestpick.Com is a review website of those products that will allow you to kill all the pest and bugs that bother you. At the same time, I provide many unique and useful ideas to kill pests organically. I got the idea of Pestpick.Com when I was talking to my buddies about best mosquito repellent 2020 for mosquito problems that is was facing. They notify me that they are also facing the same issue, and some of them are bothered by other pests like bed bugs, cockroaches, termites, fleas, and much more. They also told me that they are having hard times with those pests. On that time, I realized that there must be many people who suffering the same and trying to figure out a way to get rid of them. So, I started this blog to provide them some ideas and knowledge about various products that will help them to kill all sorts of pests and bugs. Now, I believe if you are trying to find a solution, you will find this blog useful. Purchasing a useful product is not an easy task. It takes lots of researching. But, many people buy those products, which are recommended by their family members, friends, and others they know. That is because many people don’t have the time and pleasure to do the research by reading hundreds of reviews. In the meantime, it is true that online research takes lots of time too. Let’s continue to our quest to find the best product that will kill all the pests that ended on a shop where I and my friends did some research. Now, honestly some were good and some were excellent. On the other hand, some products were junks and some are way too expensive. We spend hours to get the perfect product but we came back home with nothing. So, I got an Idea to help others by giving them reviews about those pest control products. That’s how I started this blog. 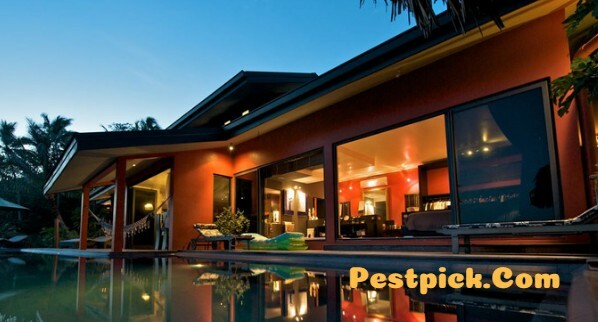 The primary goal of Pestpick.Com is to provide my all visitors reliable and honest information about various pest and bug repellent products. So, they can get the most useful and affordable product that would be helpful for them. My objective is to make this blog the last destination for those people who can’t make up their mind about pest killing products. I will try my best to make it useful for them so that they can pick the right product by reading the reviews in here. At the same time, I provide organic ideas to kill pests in here too. Finally, I appreciate your interest on Pestpick.Com . So, I will always give you guys the best reviews and solutions that will worth your time.